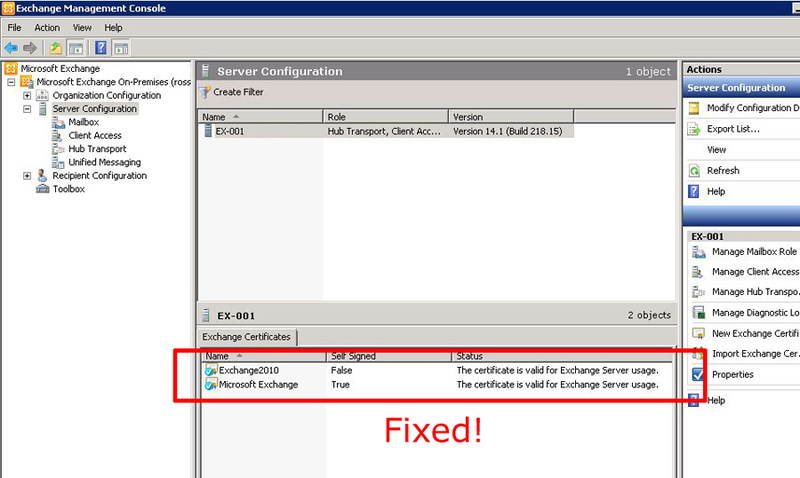 Seen on Exchange 2010 (with or without service packs) when you access the internet through a proxy server. 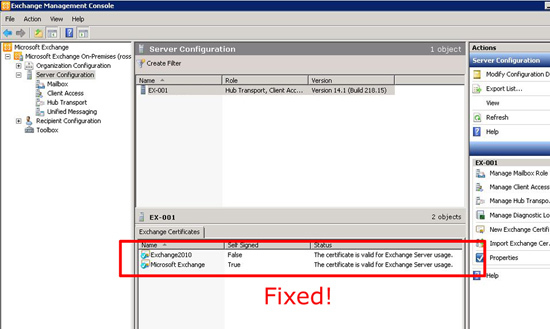 Note: Exchange does NOT take its proxy settings from Internet Explorer. 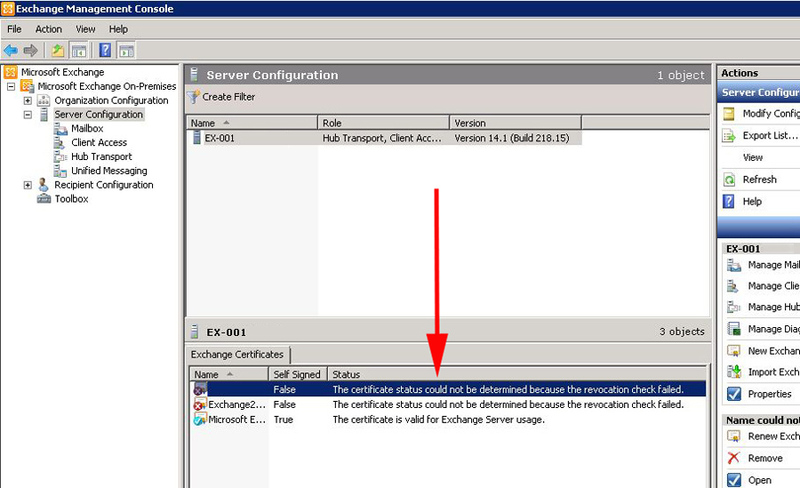 If it says “Direct Access (no proxy server)” and you have a proxy server then that’s your problem. You only do this if it’s broken something!! 4. All being well your certificates should now display correctly.